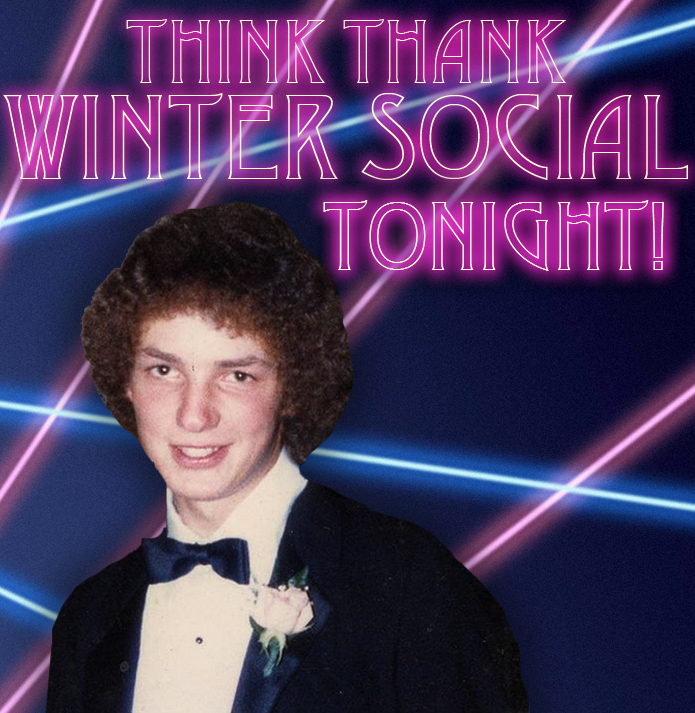 THINK THANK WINTER SOCIAL TONIGHT! The night we've all been waiting for is finally here! Come celebrate with us and this birthday stud tonight! Doors open at 7pm at Hale's Ale Palladium. FREE, All-ages and 90's business casual attire optional but recommended. 11/18/16 - Rapid City, SD @ Firehouse Brewing Co. The Weather Outside Is Weather Out Now! "The Weather Outside is Weather” is out now! Our 15th title (in 13 years) is now available on DVD, iTunes and Vimeo on Demand. With free reign and bold vision director Sean Lucey takes Think Thank’s motto of "progression through creativity” to all new heights in “The Weather Outside is Weather." A small close knit crew of snowboarders go from peaks to sledding hills around the world, riding what they want, how they want with no expectations other than pure snowboarding. 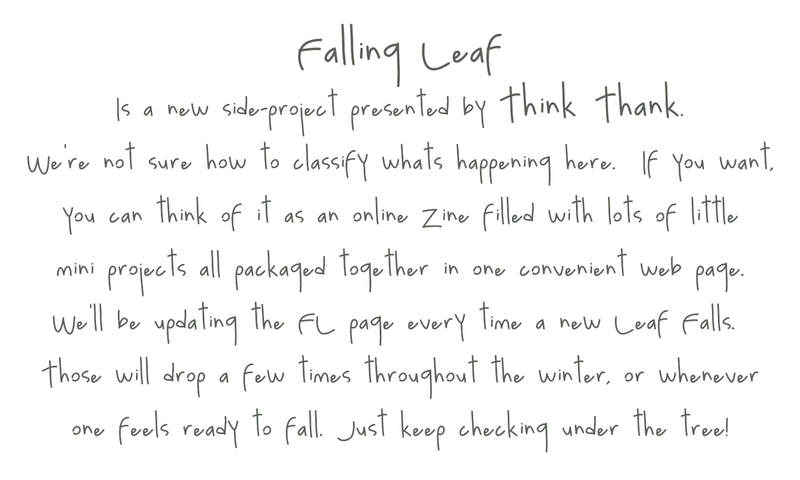 Rad-ness and hilarity ensues. Alpental powder missions, Midwest refuse receptacle sessions, Alaskan nooks and never seen SLC hideouts are all woven together into an audio visual tapestry unlike anything else. 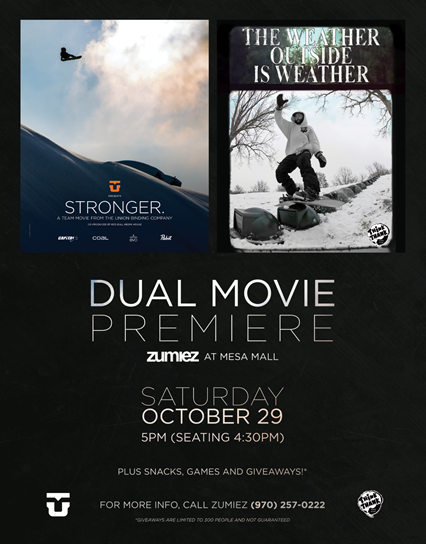 Starring: Ryan Paul, Ted Borland, Max Warbington, Brandon Reis, Freddy Perry, Blair Habenicht, Sammy Spiteri, Justin Keniston and Jesse Burtner. Also with Chris Beresford, Ben Bogart, Ryland West, Nial Romanek and special guests. No matter what you do about it “The Weather Outside is Weather” so you might as well grab your crew and get after it! Think Thank's 14th annual full-length movie is available for pre-order now! This cultural artifact known as the DVD will live for as long as your DVD player does. In ten thousand years when aliens or archeologists are digging around trying to learn more about our civilization will they uncover your iTunes account? No! But maybe, just maybe they'll find this little gem and think, "Hey, these guys had snow! And they liked to slide around on it on boards and then find dozens of garbage can lids to re-purpose into more sliding objects!" But really, this movie is the greatest. The crew was tight, Lucey had complete creative control and made something very magical. Please enjoy it.